Phase 02 follows on from the current regeneration of Alma Estate Phase 01 at Ponders End, Enfield which broke ground late last year. The Exterior Architecture team has been working closely with client Countryside Properties, architects Pollard Thomas Edwards and the wider design team to deliver the much anticipated Phase 02. This phase comprises 192 New homes, allowance for a new medical centre, retail and the revitalisation of the existing Youth Centre, Welcome point & community offices. The submitted design which was approved unanimously at committee last week provides a series of public and private landscaped areas. 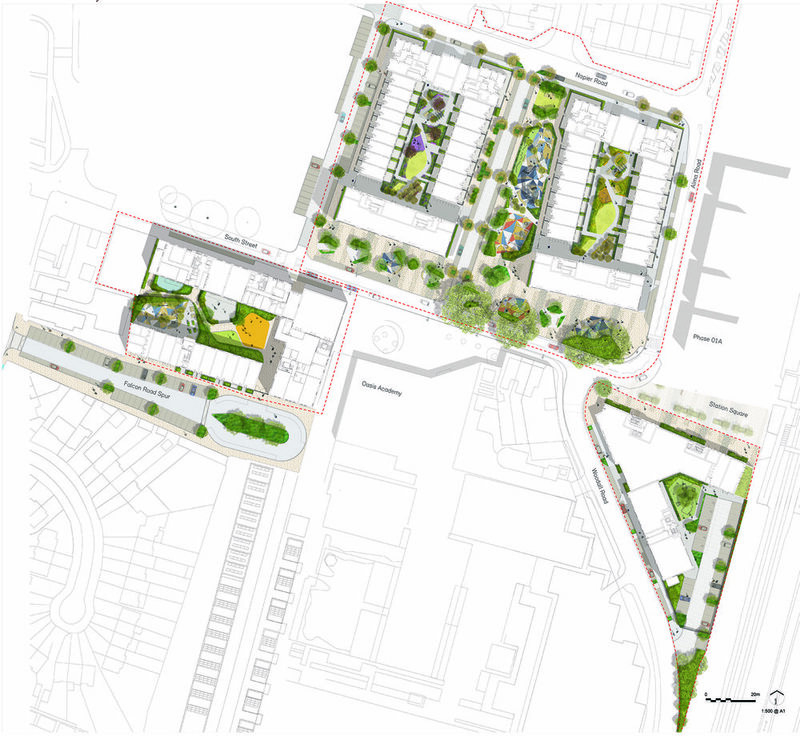 These include the redevelopment of a ’public plaza’ along South Street, various play spaces and central residents' courtyards all designed to enhance the sense of community and to provide a rejuvenated Ponders End. Watch this space as we now move into delivery!